THANK YOU FOR THE SUBZERO UPDATE. OMG. When are you going to release the tutorial? I find this very confusing. Last edited by Llama_Renegade on Tue May 12, 2015 6:36 pm, edited 1 time in total. Ive got everything working except not knowing which files to edit. I noticed some of the Diff files for example ERmac_B1_Diff.tga has multiple versions which have smaller and larger textures. Do i edit the larger ones only? Also do i have to also edit the "blue" version of the textures. For example and for someone too make this easier, if i wanted to edit Ermacs face on his second alt. Which files should i be editing? Someone please help. 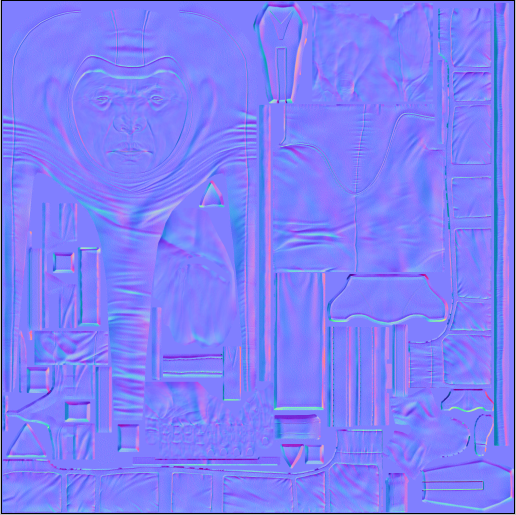 I opened one of the texture files in photoshop and it looked like this. You can edit larger ones, and use photoshop actions to quick generate mipmaps. "blue" version of the textures is normals map texture. Having trouble getting the Mips photoshop action file to work. Do i have to drag and drop all the files i want first to Photoshop then run the mips action? Ive tried different ways and still no luck. Also does the program simultaneously edit the smaller ones or generate the smaller ones? Or am i still gonna have to go individually through all of them? how to use mipmaps action "video"
The modding toolset worked fine for me. Thanks to the developers. The tutorial was easy to follow. I have one little problem. When I want to remove a piece of clothes from the diff file I always see a line (with 3d reliëf) where the clothes was. How do I remove it? I made also some changes in the norm file but still I see the same line when I play the game. Did you also check the Alpha Channel of the Diff? Maybe it's some lightning that causes the line.